This is a very interesting logical code breaking riddle. Solving this puzzle will test your logical reasoning skills. 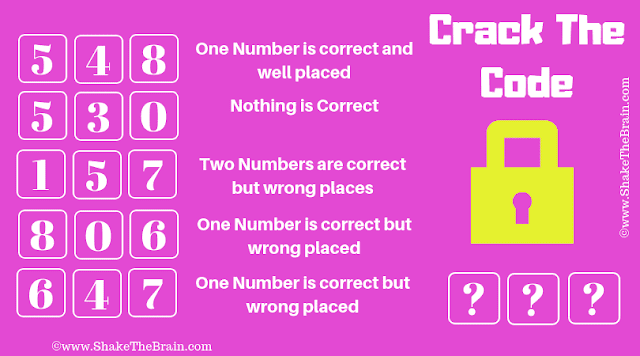 In this crack the code logical riddle, your challenge is to decode the 3-digit code which will open the lock. Study the hints given to find this 3-digit code carefully and crack the code. Can you crack the code and open the lock? Answer of this "Code Breaking Math Logical Riddle", can be viewed by clicking on the answer button.